I was never a baby person. 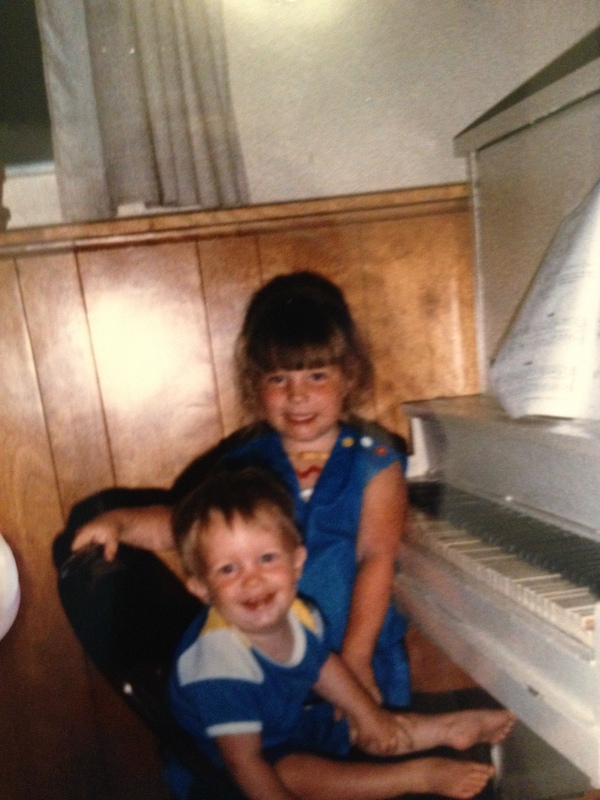 In fact, the first baby I remember interacting with was my brother … and that started out pretty rocky. My first memory with him consisted of me dancing around the living room in my fancy new plastic headbands and then biting him when no one was paying attention. I’m not proud of it, but the good news is that we’ve come to love each other as grown adults. Flash forward to high school, when everyone babysat for extra cash. A woman in my neighborhood asked me to babysit her three young children, and I jumped at the chance. How hard could that be, I thought. Four hours later, covered in macaroni and cheese and watching “Dumbo” for the third time after a “falling down the stairs” incident, I literally met that momma at her front door with her destroyed children and vowed to never babysit again. When I was in my twenties, my sister and her family came to visit, renting a beautiful condo on the beach. She asked if I’d mind watching her youngest son while she took her other older children to an amusement park for the day. Condo on the beach? Yes, please! So, that morning, I said goodbye to my sister, changed into my swimsuit and headed to the pool with JR in tow. Well, I had no idea that babies don’t really lay out and lounge by the pool, so our stay lasted a whole 10 minutes at most. But when I lugged JR and all our beach gear back upstairs, I realized we were locked out. So, there I was in my bikini with no shoes and a baby on my hip crossing the ever-busy, tourist-lined Gulf Boulevard to get an extra key from the rental office. Beyond embarrassing and one of my biggest redneck moments! Since that last incident, I hadn’t spent more than maybe two hours alone with a child, and then we got pregnant. Luckily, PoppaNut has far more experience, but that “plus sign” meant it was time to learn a thing or two myself. So, I poured over baby books, mommy blogs and family testimonials. I Googled everything I could and spent hours watching YouTube videos like “How to Wash a Baby,” “How to Feed a Baby” and “How to Swaddle a Baby.” Yes, I literally YouTubed this stuff, and it was actually pretty helpful. Then, I signed us up for the baby class, “Childbirth Preparedness.” I came with a notebook, pens and my academic ethics. I was going to sit at the front of the classroom and learn EVERYTHING I could because knowledge is power. And PoppaNut was a great sport about it — he participated in the question/answer session and even walked around the room with me while I stomped and squatted (techniques I was told help the baby drop). I learned about the birthing ball (yoga ball you can use during labor), signs of labor and a whole host of other things. But when it got to the C-section portion of the class, we scooted out. We aren’t going to need that anyway, I thought. Boy, were we wrong! After being induced and spending 12 hours in labor, I had a C-section. I didn’t get to use the birthing ball and I didn’t need to know the signs of labor. I completely forgot most of the things I read in the baby books and blogs. And from then on, I just did what I thought was right. I still make jokes about how I’m completely not qualified to have a baby, and it’s still quite unbelievable that I’m somebody’s mommy. And suddenly, that same girl who never was a baby person now can’t imagine her life without this amazing baby in it. Amazing how becoming a mommy can change you. But I guess what I learned is love is the magical ingredient. With love leading you, you find your way. And that’s life in a nutshell. Awesome!! Funny how all the stuff you read went right out the window!! Completely out of the window! Thank you for your interest in my posts.